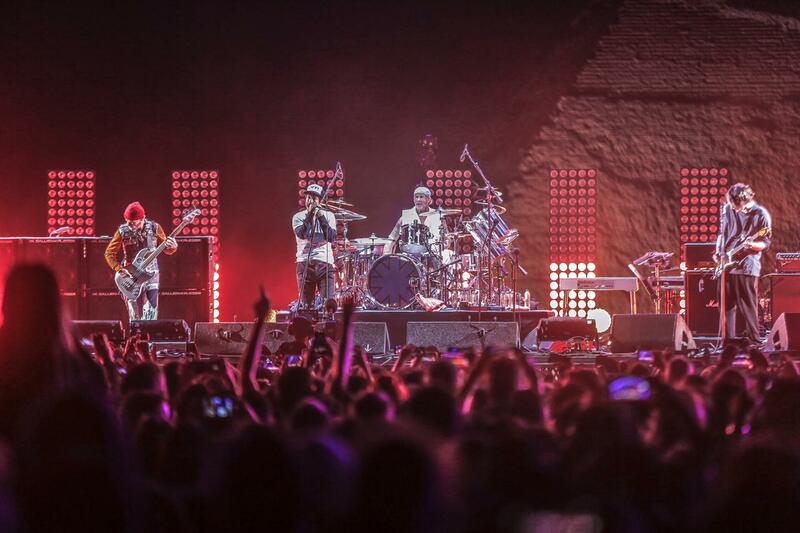 For those of you who don’t know, or haven’t heard or seen all the international headlines and the buzz generated on social media, Red Hot Chili Peppers performed live in Egypt last weekend, on Friday the 15th of March to be specific. We, of course, were there to cover this event, and we were glad to see how well organised everything was. This is why it is time to thank Travco Group for this amazing event. Aside from Travco Group being Egypt’s leading travel company, Travco Group also specialise in hospitality, security, aviation, and real estate development. Travco Group have accordingly managed to execute an event truly fitting of their name, size, and incredible legacy! We were even more proud to see the sheer number of tourists and foreigners who came from different parts of the world to attend this unique performance. 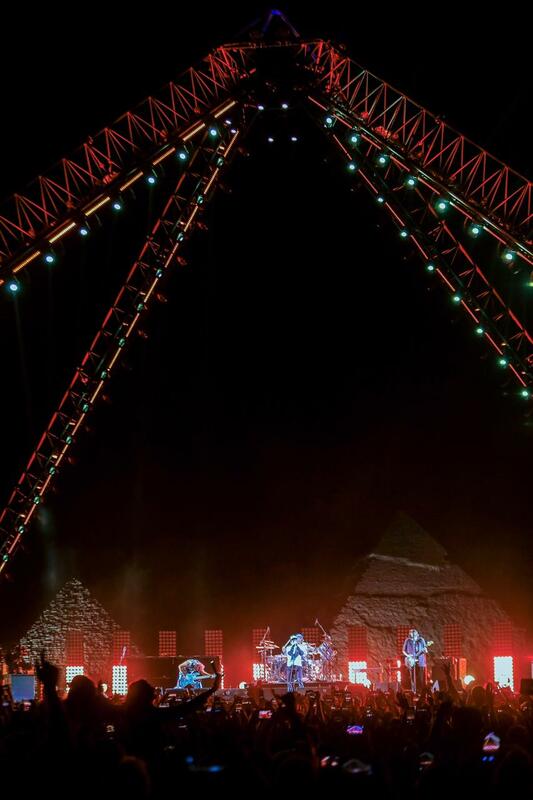 At the concert, we ran into people from all across the globe; Americans, Brazilians, Italians, and many more nationalities were are all present in a concert which saw this legendary band play live to a background of the monumental architectural masterpiece that is the Pyramids of Giza. Over the past few months, we have been telling you, our loyal readers, why we can expect a boost to Egypt’s tourism industry. With deals being signed with Beautiful Destinations, Condé Nast Traveler Magazine raving about Egypt, Business Insider obsessing over Cairo, Trip Advisor stating that Egypt is home to one of the most beautiful beaches in the Middle East, Egypt hosting the 2019 Africa Cup of Nations, and much more; Egypt is definitely becoming the place to visit. This event, however, represents an opportunity to place Egypt on the global map of tourism in a whole new way; Egypt, we hope, will become a hub for similar events, which promote the country we call home as a pivotal meeting point for varying artistic acts and cultural events. We wouldn’t be standing here witnessing history being made without @nacelle_ and @travcogroup! 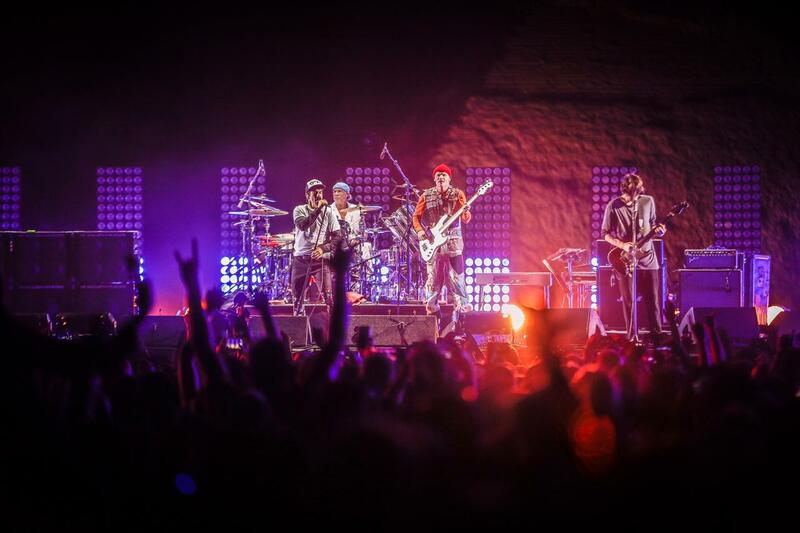 Thank you, guys, for the amazing organization and of course for bringing @chilipeppers to the pyramids!